***Republished from the Conversation, original link here. To slip into the blue of your blue jeans is to slip into a surprising and unexpected encounter with the past … but without your having the faintest idea of what you are slipping into. 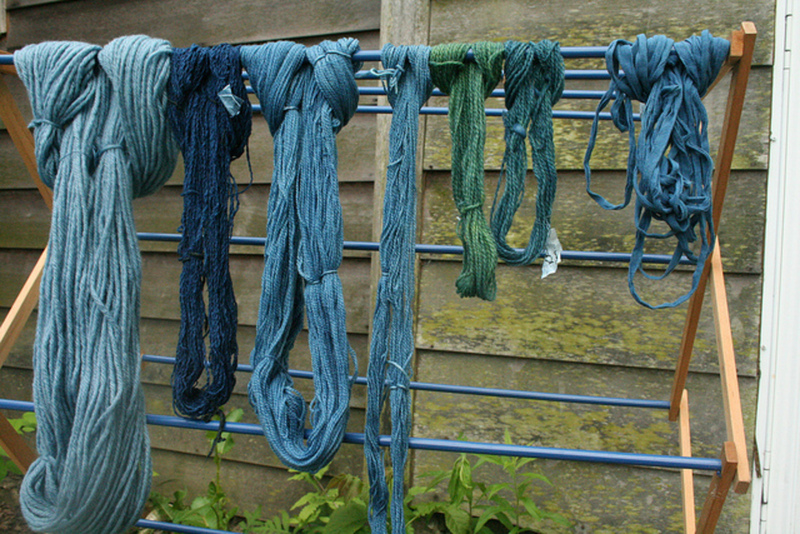 The more than 5,000-years-old history of indigo-dyed clothing frames a world history of globalisation, labour, fashion, and the best and worst of human nature. From the early to mid 1900s, indigo blue clothing was deeply associated with the working classes, such as the “blue collars” of Australia and American “tradies". Analysing the values, design, and experience of the blue-collar chambray shirt for the working peoples of Australia and America provides a basis for the shifting views of blue-collar workers today. The industrial worker became the “social question” of 1900 because he was the first lower-class person in history to gain the opportunity to organize and stay organised. At the turn of the 20th century, the demarcation of the interests and cultures of blue-collared versus white-collared workers became important as labour movements and trade unionisation accelerated in Australia, the United States, and Europe, especially Britain. This acceleration of trade unionisation reflected the challenges of the working conditions for blue-collar workers in Australia and the US, which were and continue to be often dangerous and, key to choice of clothing, dirty. The indigo dyeing of the various cotton shirts, pants, and coveralls of the workwear sought to mask the dirt and grease that would result from the work environment. This was especially important when the frequent washing of clothing was not possible or extremely labour intensive. Thus, the number-one value associated with indigo-dyed workwear was durability. The second value was practicality. For outdoor work in mild weather, choose a material such as chambray, which is durable, firm enough to prevent sunburn, yet lightweight enough admit air and be fairly cool. Other important design elements include two chest pockets with button down flaps, loose fit, the easy ability to roll up the sleeves, and reinforced stitching. 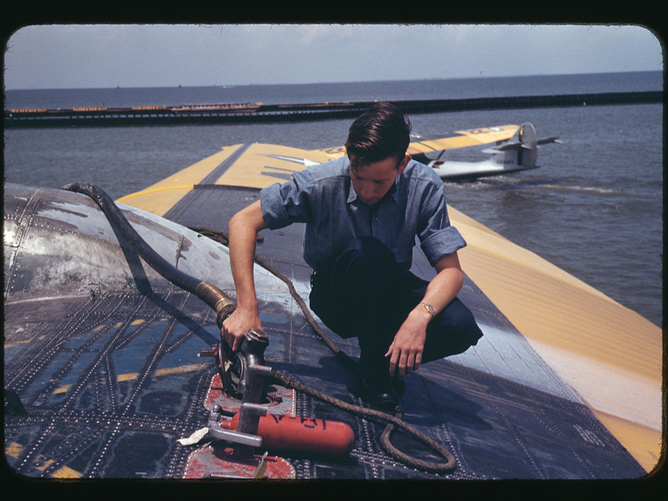 The chambray shirt’s ruggedness resulted in it, along with denim dungarees, being adopted as the US Navy’s working uniform from 1901 until the second world war. In Australia, the continued association of chambray with workwear is made evident by its continued listing for sale on the Bisley Workwear website. First in the US and having spread to Australia, the uniform of the working classes has been appropriated by the managerial classes. In the Post second world war period, Hollywood icons such as James Dean and Marilyn Monroe popularised chambray shirts with the emerging new demographic—teenagers. 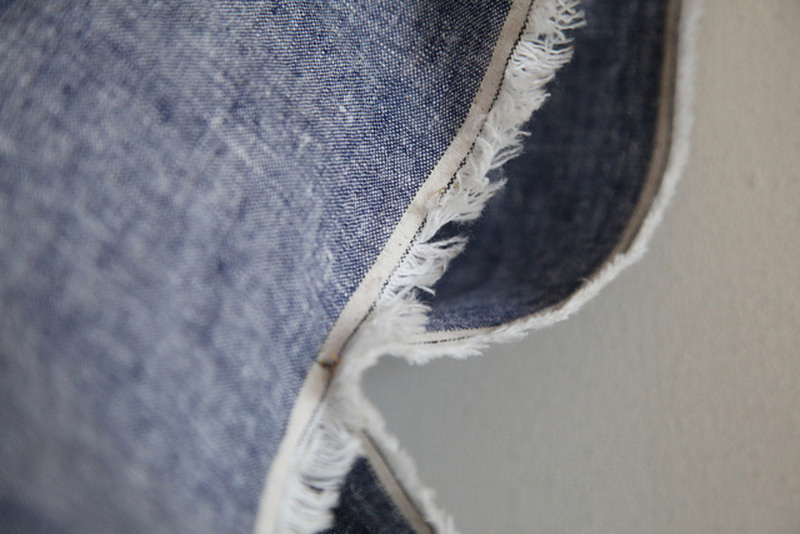 Indigo dyed materials such as chambray and denim became fashionable. When these baby boomers got older and began to run companies and corporations, especially those on the West Coast of the US, they brought their appreciation for the “coolness” of chambray and denim with them in the form of Casual Fridays. According to US National Public Radio, Casual Fridays first began as Aloha Fridays in 1966, when the Hawaiian garment industry sought a way to get people to buy more Hawaiian shirts. During the economic recession of the early 1990s, dressing down one day of the week was offered as a way to rebuild morale in companies by relaxing the formality of the office. For the high technology start ups in California, it was a way to allow their engineers to work more creatively. NPR reported how Levi’s and Co. took advantage of the anxieties corporation felt about allowing more casual dress by introducing the Docker’s brand as appropriate attire for business casual. 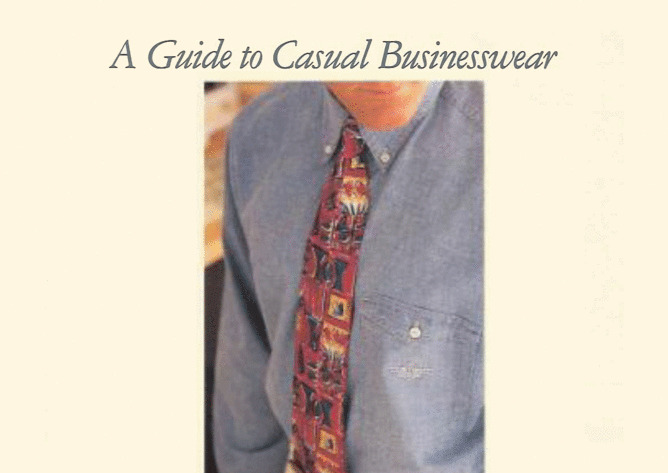 Levi’s sent an eight page brochure, called A Guide to Casual Businesswear, to 25,000 human resource people all over the US. In the same way the focus on “blue collars” emerged when labour unions were growing in the turn of the 20th century, the adoption of working class blue-collars by the managerial classes reflects the decline of unionism in the turn of the 21st century. According to Australian researcher Donna Harvey, union density in Australia dropped from 51% in 1976 to 25% in 2000. The Australian Bureau of Statistics reports the union density at 18% in 2013. Dropping since 1953, union density in the United States is at 11.1%, nearly half of its density in 1983. By blurring the lines between blue and white collars through our selections of dress are we creating a new social harmony or erasing the presence of blue-collar labourers? The news about the class war in San Francisco, the heart of casual tech culture, indicates that it is the latter. The Australian version of the Guardian posed the question of class warfare in regards to Sydney and Melbourne. As I stated in the beginning of this article, indigo-dyed clothing frames the best and worst of human nature. While it may seem to be just a shirt, it is also a symbol of how we treat the person who wears it. Big Sky places. I love seeing expanses of sky meet the horizon. Blue flowers in the garden. I don't know what these flowers are but I see them often in gardens where I live. I love blue flowers in a garden: hydrangeas, perennial geraniums, delphinium, hyacinth; whatever they may be they always call my attention. While I notice any intense colour in a garden blue flowers seem to defy logic in a way that other flowers don't. Blue used interior design. I love the use of blue in interiors - in any capacity: walls, soft furnishings, wallpaper. Blue is the only colour that can look both classic and edgy; old and new world; traditional and contemporary; opulent and utlitarian, simultaneously. Blue ink. I prefer to write in blue ink. It gives greater definition to the letters and stands out on the page better than black ink. High Society. This film was a formative influence on my subsequent homewares design aesthetic. When I think of blue my mind typically returns to this period and style of interior and fashion design that was seen in many films such as Pillow Talk, North by Northwest, Breakfast at Tiffany's. Visual communication design.I'm very interested in graphics，(especially the creative graphics) also like cute cartoon dolls. 1.My favourite blue carton underpants. 2.My lovely little blue doll. 5.Gorillaz_one of my favorite band. 8.I hope that every day is the blue sky of Beijing. I used to focus on graphic design, and get my feet wet in web and online product design now with the wave of mobile Internet. Moreover , I interest in the traditional culture of Asia, so I'm really looking forward to this research. I thought of my phone. Many mobile phone use more clear blue like nokia lumia925，but less dark blue or indigo . This clear blue seems to contain force of light. It is exciting ,fasion, youthful，always used in high-tech products ,and not belongs to tradition. “Blue comes from the indigo plant but is bluer than the plant itself ” This proverb as if to say ：blue represents the new era. I love dressing blue in my childhood when I live in the coastal city - Dalian. It feels like the sky, the sea and me melted in one. The sky and sea spangled by light seem so blue that my heart become clear and warm. Blue is not cold. Blue shows a kind of intelligent and deep，I always find cool idea in blue. Blue give me a healthy feeling .especially wear a blue mask in hazy day! Washroom in my home is blue space, it gives me a clean feeling ，make me a blue boy. e one, restraining and deep. If I had to use one color to describe a snake, it is blue. My academic background is in branding design and infographic. I started to research Chinese characters from 2013. That blue and green is linked to each other is in my mind when I was a child ,living in a southern city around by the landscape. I went to countryside ,my grandparents’home, to take a vacation during my summer holidays.I used to play on the hill around our village. Looking up in the sky,it’s green of leaf, and that touch of blue. 1.The main character of my unfinished animation . I created this blue guy when I made my first animation.I like the cute penguin,although I did not finish the animation. I bought the clay whistle from a shop in Beijing.It is one of twelve chinese zodiac that be called chinese dragon . Wuzhen,a typical resort neal Shanghai,has a large number of travel products made by blue cloth.I got the two wine bags four yeas before when I went to Wuzhen with my classmates. Two years ago,I went to Zhangjiajie with my friends.I saw that the mount surrounded by the deep blue atmosphere. I did not think I’m a science fiction fans until I was addicted to watching the Doctor Who.It’s a fantastic travel you can go to anywhere and anytime.And then, you start redefine the meaning of life and love. Taken in the Blue Lagoon, Iceland. Background/Occupation: I have a Business and Visual Communications Degree and have a background working mostly as a graphic and interaction designer. I also help out at a mushroom burger stand at the markets from time to time. My favourite colour? Green. I grew up amongst pine forests and gum trees and I'm most relaxed when surrounded by trees and nature. And as I eat mostly plants, green signifies food! YUM! What I think of when you think of the colour blue: I think of this podcast by Radiolab. It explores the notion that the colour blue was the last to exist in our human recognition and languages. In Homer's Illiad, for instance, he does not use the word blue even once; the sea is described as the colour of wine. They propose that humans didn't need a word for a colour until they could manufacture that colour and so it wasn't until the introduction of indigo dye that the colour blue was introduced to our vocabulary. It blew my mind. 1. Aesthetics and the appreciation of beauty. Hey, I am a designer after all! 2. Respect for people, animals and our environment. I try to minimise harm in all these aspects. Five images of things coloured blue that have meaning for me. Some of these images aren't mine as I don't have copies here in Melbourne. 1. My school uniform. I had a great experience in high school and met most of my closest friends there, but that uniform represented so many things to me that I wanted to escape: elitism, conformity and sweat!! The thick, long skirts were not appropriate for our pre-airconditioned tropical Queensland classrooms. But at least I learned early on how to iron pleats and tie a tie. Handy. 2. My bike. I cycle everywhere. It makes me feel happy and free. 3. Passport. I have itchy feet. 4. The moment I saw my Siamese kitten's blue eyes as a very young person was the moment I became a crazy cat lady until the day I die. 5. I went to boarding school during my high school years so I cherish earlier memories of spending time together as a family in my hometown of Maryborough and at my grandfather's place in Buderim on the Sunshine Coast. My sister and I would always beg my dad to take us to the waterslides and he'd leave my mum at home to get a break from us all and we'd spend hours there in the heavily chlorinated water egging each other to go faster or backwards or something equally dangerous. They were pulled down some time in the late 90s. I graduated from Lasalle College of the Arts in Singapore with an honours degree in Arts Management. My concentration was in visual art theory, specifically, Southeast Asian Contemporary Art and Cross-cultural Exchange. A blue that is almost grey but not quite. “Pulut Inti” is a Peranakan dessert made from glutinous rice, blue colouring from the Blue Peaflower, coconut shavings and palm sugar. It is wrapped, steamed and served in banana leaf. The Peranakan culture is unique to the Malayan Peninsula, Singapore and Java islands and was born from the marriages of Malayan provincial princesses to Chinese migrants settled along the Straits of Malacca and around it. Its visual aesthetics--especially in traditional clothing, pottery and furniture--consist of influences from the Malay, Thai, Indonesian, Dutch and Chinese culture. Peranakans speak a pidgin known as “Baba Melayu” which incorporates the vocabulary, grammar and intonation patterns of both “Bahasa Melayu” (formal Malay) and the Chinese “Hokkien” dialect. Peranakan society is mainly matriarchal, with a predominant religious practice of Taoism, Christianity, and very rarely, Islam. 1. Filial piety - respect for and loyalty to one’s parents and ancestors. 2. Respect for all living things regardless of race, language, religion and species. This was my school uniform when I was attending a Catholic girl’s school, Convent of the Holy Infant Jesus. The other image is a close up of the school crest. I wore this blue pinafore and crest for a good ten years. This is a picture of my late grandmother in her favourite blue “Sarong Kebaya”, the traditional costume of “Nonyas” (female Peranakans). This is a picture of me on the day I graduated from Catholic Junior College. The school was almost always blue from its interior, and down to our uniforms and ties. The friends I made then have remained close mates until this day. The memories we shared were the most vivid I’ve had. That’s me in the middle. My academic background is in Continential Philosophy. More specifically, Ecological Philosophy ('Ecosophy'). I also have a background in creating 'Electroacoustic Music', under the name Solo Andata (12k). The blue nest of the Satin Bowerbird, which is common in the rain forests of eastern Australia, and is a relative of crows. In order to seduce the female bowerbird (who has a greenish-blue plumage), the male bowerbird (who is completely black/dark brown in colour) needs to build a nest (a bower)—a magnificent architectural structure that can be seen in the picture below. Some male bowerbirds have a blue plumage, so they do not have to collect little blue flowers and random objects to impress the female; but the male satin bowerbird has no blue feathers, so it must go out and find blue flowers and objects to place neatly around the nest. Once the female bowerbird arrives at the male’s nest, the male performs an elaborate display/dance. The female judges him on his skill as a performer, builder and decorator, and if he is successful then they will mate. What has happened, here, is that expressivity has migrated from the skin (from the blue plumage of male bowerbirds) slowly to the work of art (the decorated nest). The bird has become an artist. A simple artist; but an artist nevertheless. 1. Multiculturalism: For a healthy society, the expression of difference or ‘otherness’ is to be respected. 2. Justice for non-human animals: I believe what Gandhi said, that “the greatness of a nation and its moral progress can be judged by the way its animals are treated.” This is why I am concerned with the struggle for animal rights, and love to hear that India has written animal welfare into its constitution. 3. Education: I believe that education can offer young adults a moral structure and meaning to their existence. I have this on my bedroom wall - on the left I see a thumbs up with a smily face, which, whenever I look at it, gives me a sense of approval that I am doing things in life the right way. Samuel Beckett is my most cherished author and this is a collection of his plays all recorded for DVD (there are four dvd’s). It is meaningful because I really went out of my way to find this - which reminds me of my dedication to Beckett. This is where my dog Monday sleeps. He is very special to me.